Though I don’t believe everything I read in the press, it appears you are beginning to consider the next step in your career. I assume many people have weighed in and will continue to do so. But, since some have requested my opinion, let me attempt to provide my perspective. Let me begin by saying that I think you are one of the most talented television journalists I have seen. I don’t know, nor would I presume to know, what is right for you and your family, but I can tell you a bit about how I feel about my path. Going at it alone is hard. You are no longer just ‘talent’. It feels as if the world is on your shoulders. You take the responsibility of serving your audience, your advertisers, your partners, and your employees home with you every night. It is, ultimately, all on you. Depending on the path you Blaze, you may find that some claim you no longer matter. They may say your star has fallen. They may even say that you’ve had your 15 minutes of fame. Those who use your name to engage in their own personal search for relevance deserve your condolences, not your contempt. The question you have to answer is how do you want to be defined? Where do you want to make an impact? Do you want to frame the debate? Or do you want to speak to the people? Do you want to be judged by how big your bubble is or how many people you reach? Make no mistake, being part of the Fox family is a remarkable experience, one you will never replicate. You are surrounded and led by the smartest people in the industry. There is so much to learn. There are so many opportunities to have your voice be heard. There is a clear path to make an impact. There are far worse places you can be. You could do a morning show you don’t own, on a network that no one watches, where your opinion is controlled and dismissed. Imagine how that must feel. On the other hand, you could reach people on multiple platforms; where you take all the risks, reap all the rewards, and have an opportunity to reach tens of millions of people. As I said, going your own path is hard and it’s not right for everyone. I know you will make the right choice. Your incredible connection with your viewers, who deeply respect your courage and conviction, will stay with you wherever you go. If you do choose to leave for another network, you must consider how having a new boss on your next adventure would impact you. Let’s say, theoretically, you worked for Russia Today or a network with an even more biased perspective. Even if you had a clear preference for a Presidential candidate, would you be able to express that? While Fox News will stand by your ability to stay true to your principles, what if you find yourself at a network where you continually are asked to abandon what you claim to believe? Imagine if when you walked the halls people would whisper that you were only there as a ‘token’ to provide a ‘balanced’ perspective but not because you had any talent? Do you wish to feel important? Do you wake up every day striving to be the loudest voice in the echo chamber? Or do you want to be honest? As I have appeared in the past few months on Meet The Press, Anderson Cooper 360°, Don Lemon, Bill O’Reilly, The Kelly File (plug), etc.. I have realized that there is much I have taken for granted. I have had the freedom to support the candidate I believe is right for our country like any other citizen. I am able to be honest about my beliefs, go on whatever show I choose, and barnstorm around the country to support the principles that I hold most sacred. I am an incredibly imperfect messenger, but at least I don’t have to become a “supporter” of a candidate for ratings as they shower me with inauthentic praise and promises. Or, even worse, pretend to support a candidate (while pretending I don’t), just to keep the candidate coming on my show to inch (literally) up my ratings. Judging by your actions during this campaign cycle Megyn, anyone would be able to see that your principles take precedence over your own interests. This characteristic is more rare in media than the average person can imagine. Dealing honestly with your audience as you attempt to find the truth is hard. I’ve found that it’s even harder when you’re on your own. It can also be exhausting. In my experience, bringing relevant and interesting content to ten million monthly website visitors (Glennbeck.com), ten million listeners to the radio show, podcasts, and the largest independent digital streaming network, along with 3.2 million Facebook friends, over a million Twitter followers, tens of millions of visitors to (theblaze.com), hundreds of thousands of subscribers, and a TV network being distributed in nearly twenty million homes — well, it’s a full time job on top of a full time job. This responsibility does not come cheap, nor without risk. However, having the ability to speak directly, with no filter, to approximately fifty million people per month is quite invigorating. Sure, Forbes lists are fun, but they mean nothing without your integrity. Imagine if you were never on a Forbes list AND had no integrity. Fortunately, you have the world at your feet. You said recently that when the 2016 election is finally over, you wanted to be on the side of the angels. You will be. No matter what you choose next. Again, I know you didn’t ask for my advice nor do I think you care about what I have to say. It is almost as if I was only using this opportunity to transparently and indirectly address someone or something that had nothing whatsoever to do with you or your career. Could you imagine how sad it would be to feel compelled, of your own volition, or by someone else’s, to use a topical story as cover to take shots at someone who your own mother loves? Imagine if you did something like that but you had never been a disrupter, successful or even relevant and yet, when you wrote it, you weren’t trying to be self-aware or funny. Imagine if you really just didn’t realize that you weren’t a joke, rather, you were a punchline. It almost seems like fiction. A character like that couldn’t be found anywhere other than as one of the faceless, nameless wretched characters forever lost in the pages of a Victor Hugo classic. 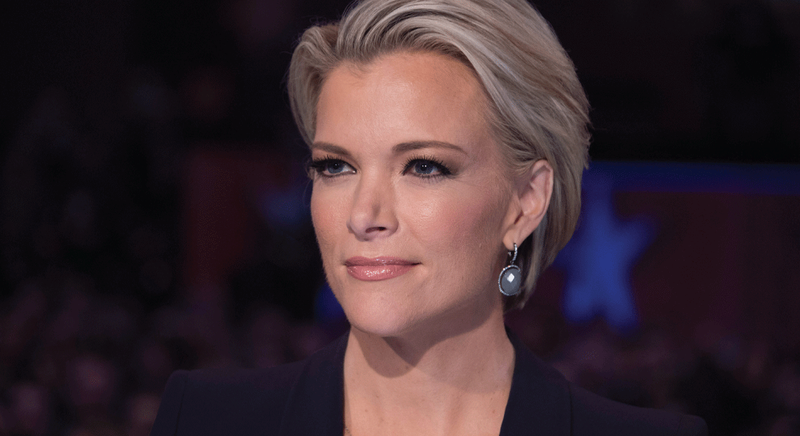 Anywho Megyn, whatever you do next, I know it will be game changing and I with countless others will be watching.